Russia has questioned the integrity of a French intelligence report, which blames the Syrian government for the Idlib chemical attack, emphasizing that no amount of national probes will ever make up for the absence of an impartial international investigation. “It seems that these countries either do not trust the OPCW, or trying to influence its work in the direction they need,” the Russian Foreign Ministry said on Tuesday referring to the latest French report that echoed previous claims by British and Turkish experts. On Wednesday, France ‘declassified’ a 5-page document accusing Syrian government forces of carrying out a sarin nerve gas attack on April 4 in northern Syria, which reportedly killed up 100 people and injured hundreds more. The French report in its conclusions stated that only President Bashar Assad or members of his inner circle could have ordered the strike on the town of Khan Shaykhun in Idlib province. The document claims the conclusions are based on samples obtained from the impact strike on the ground and a blood sample from a victim. Earlier, the UK and France claimed that their experts have “received” samples from the site of the incident, which they passed on to OPCW labs who then identified the chemical agent used in the attack as sarin gas. The Russian Foreign Ministry questioned the validity of the evidence and consistency of the French intelligence report in general. “If the samples were obtained in some other place… then the consistency of the conducted analysis is immediately in question,” the ministry said, noting that under international regulations, the samples, in order to avoid any meddling, must be absolutely secure across the entire route; from the scene to laboratory. 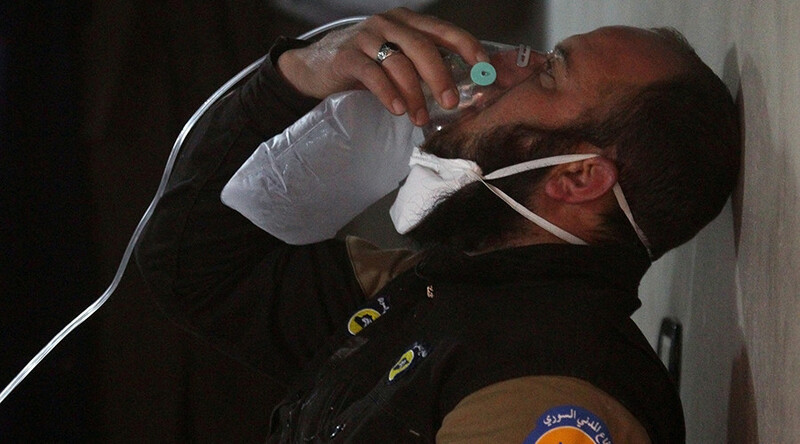 Moscow also questioned the validity of the French claim that the chemical found in the sample – hexamine – was a hallmark of sarin produced by the Syrian government. The Russian Foreign Ministry queried how the French established the “full recipe” when no ready-to-use form of sarin was ever found in the hands of Damascus and all the “precursors” of the deadly gas were exported outside Syria per 2013 agreement. According to the French report, the new sample was compared to another one of questionable integrity; this time obtained from a 2013 attack, in which an intact, unexploded “hand grenade” containing 100 milliliters of sarin was allegedly dropped from a government helicopter. “The use of hand grenades for the deployment of sarin is something new. As far as we know, there were no precedents in the entire history of chemical weapons existence. Such an exotic chemical munition, to put it mildly, is not safe for those who would use it,” the Russian Foreign Ministry said. Moscow once again underlined that a national investigation will never be as reliable as an international inquiry, and only a mission of the Organization for the Prohibition of Chemical Weapons (OPCW) can establish the truth regarding the alleged use of chemical weapons. “Once again, we call for stopping foul political games around the Syrian chemical dossier and to make the steps Russia has been insisting on for the past three weeks, which is, to delegate a group of experts directly to Khan Shaykhun and Shayrat,” the press release said. — RT (@RT_com) 21 апреля 2017 г.